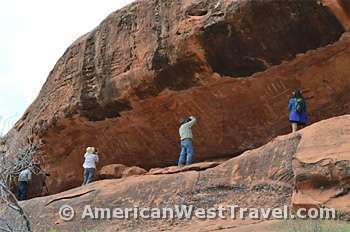 Share a story about your great adventure or experience in the American West on our website with our visitors. We welcome stories about any aspect of the American West, and of course any photos you’d like to share. You don’t have to be an expert or a professional writer to be a guest on this website. If you have an interesting story to tell and can reasonably get it written down, we’d be happy to consider it. (We can help polish your writing, too, if you request it.) Over the years, we have yet to decline anyone’s story. The main requirement is that your story must pertain to some aspect of the American West. Our general expectation would be that you describe some special experience you had and how you felt about it. All stories should be in good taste and “rated” G or PG. We would not accept stories that are obscene, pornographic, or seriously violent. This website would not be an appropriate forum for airing very strong political, social, or religious views. We would not take stories that are guises for commercial pitches or marketing programs. All guest authors are allowed a modest introductory paragraph where they can describe their background or business or both. Links to a legitimate website or email address are permitted, as well as a photo of the author. Stories should be written in Microsoft Word. If you have photos, indicate where you’d like them placed in the story. The Word file and photos in JPG format should be attached to an email sent to us. Photos should not be sent at large, printable resolutions but be downsized (if you know how) closer to web page size (640 x 480 pixels would be preferred). Guests retain the copyright on their material and all rights to produce or reproduce it. AmericanWestTravel.com is allowed to keep the guest page on its website indefinitely.